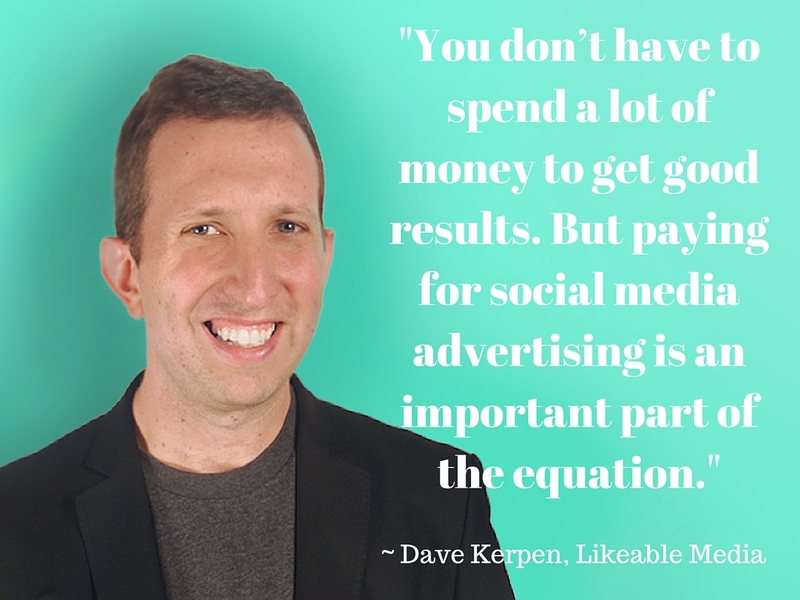 Thankfully, Dave Kerpen of Likeable Local and Likeable Media only needs four hours of sleep a night. Otherwise, he wouldn’t have had the time to create such helpful books and dependable tools. With a new, and very impressive, book arriving, he’ll be lucky to get those four hours. 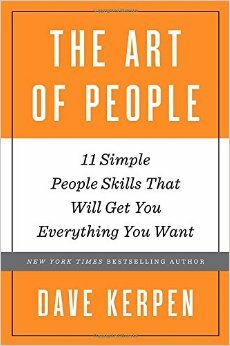 The Art of People: 11 Simple People Skills That Will Get You Everything You Want is co-ordinated for a worldwide launch on March 15th, 2016. It’s almost guaranteed bestseller status so get your order in. After coming runner-up on reality show Paradise Hotel in 2003, he later hit headlines for his unique wedding. In order to afford their dream wedding, Dave and his wife had a sponsored wedding at a baseball park. Numerous companies sponsored the event which took place after a Brooklyn Cyclones game. He ended up raising $100,000 to fund the wedding and generated $20million worth of earned media for his vendors. After his success, he got asked what he would do next. As getting married again wasn’t an option, he and wife Carrie started their business Likeable Media. 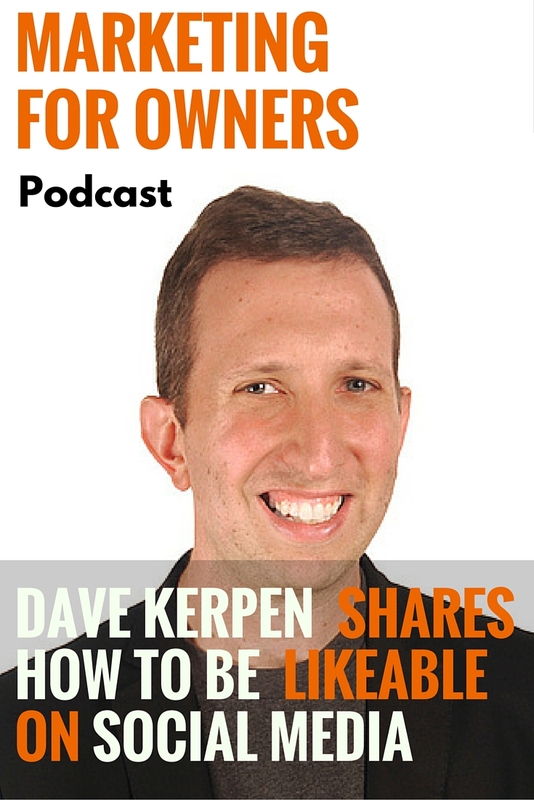 But what are Dave’s top tips for being likeable and successful? Before becoming a top-class marketer, Dave had been on reality TV and worked as a teacher, in radio sales, and as a ballpark vendor. So for him, communication comes naturally. He loves it, whether it’s on a one-to-one basis or one-to-many. And for that reason, social media was nothing but a blessing for him. 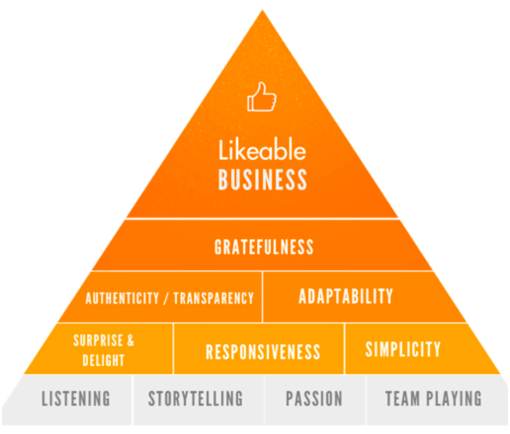 Early on in the business, in 2007, Likeable Media was almost completely offline. Back then they focused on gorilla marketing, promotional marketing, word of mouth marketing, and marketing for events. These were in venues like stadiums, malls and grand openings. It was an intern that finally got him on Facebook and created his profile. And it was from there that he realized the marketing potential that existed in social media. He then became one of the first to leverage social media as a way of marketing big brands. From there, he gained a reputation and Likeable Media now has lots of major brands on their books with $40million revenue. The internet and social media are a common source of distraction. How many of us probably spend more of our working day monitoring our timeline than actually working? 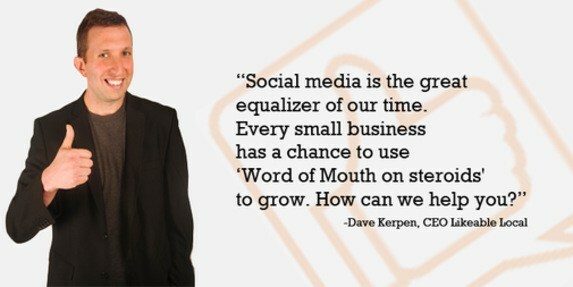 When Dave was writing his first book, Likeable Social Media, he found the process of sitting down and writing hard. This is a common feeling which many people tasked with writing come up against. Many of the best writers have to fight with writer’s block. The fear of the blank page forces them into a position of procrastination. There is always a distraction available and an excuse to hand. Instead, ensure you’re focused and disciplined. For Dave, this meant secluding himself. However, for his latest book, he found an alternative way of combating distraction. He live streamed a lot of the process. Instead of solitude, he had an audience watching him and was accountable to them all. And as his phone is his biggest source of distraction, by streaming from his phone, he couldn’t use it to slack off. Of course, many people may think this an extreme measure to avoid diversions from the task at hand. But you may benefit from finding a method that works for you. Next time you sit at your desk to work, think about what someone might think if they were watching you? They may see you working hard, or staring out the window picking your nose. After all, time is money. So spend it wisely. The ways in which business should use social media has changed over recent years. Once upon a time, you could be on social media and enjoy success without having to pay. But today, you can’t. Social media companies are also in the business of making money, and they’ve leveraged a way of doing just that. Now you need to think of social media as another major media company. Just like you’d pay your local newspaper or TV channel to advertise your business, you should pay them too. You don’t have to spend a lot of money to get good results. But paying for social media advertising is an important part of the equation. You may have mastered your own space on social media. But by not promoting your content, your posts only reach those who already know you and follow you. You are missing out on the opportunity to get out there in front of a larger audience. And you can specifically target potential, local customers. Or those who have shown an interest in similar content. Paying a little to the social media companies could dramatically expand your visibility. But to also achieve big success, you have to invest a lot of time. And don’t forget, time is money. A common mistake many people make when they start out is to self-promote too much. Even Dave was guilty of it in the early days. But he soon realized that the key to social media success is to not over-promote. Instead, become a better listener who engages with their audience. And obviously, be likeable. Listen to what your customers, and prospective customers, are saying online. You then begin to get a good idea of what they want and need so you can begin to fulfil them. Then you can build your business accordingly. When you engage with them as well, you are helping to build a relationship with them. It’s at that point when a brand has a personality that success will follow you. They then begin to think of you as a real person. Tools exist to help you manage your social media interactions. You can see people who you follow, and follow you. You can also monitor people mentioning your brand, and even specific keywords you may think are relevant. But part of that relationship evolves around you producing content they will want to read, watch or listen to. There are loads of people doing exactly the same as you, so you need to make sure yours stands out. Content needs to be worthy of a share. But it also needs to be interesting, entertaining and create value. That will then start the conversation. Otherwise, they just won’t find you interesting. Dave woke up one day unhappy about what he was waking up to achieve. Helping big brands to make more money. And when you’re in that position, the only thing to do is to make a change. Instead, find a way of waking up with a smile on your face. In that instance for Dave, his wife took over the business and he invested in helping small business grow instead. He began developing software called Likeable Local with an old friend. Now he has worked with thousands of businesses to build in a saleable fashion. And part of that revolves around managing your social media output and input. Dave is so good at it that he helped Mark Zuckerberg’s Dad put his dental practice on Facebook. In return for free dentistry, he built him a Facebook page. That was the first small business he helped, and Likeable Dentists was born. There are lots of tools around which help individuals and businesses to manage their social media accounts. However, when he started out creating Likeable Local, he soon discovered that none of the tools do everything. And that is what he set out to achieve. Small businesses don’t have a lot of free time, so having one place for all your needs makes social media efficient. That includes listening and advertising, as well as creating content and landing pages. Plus, it automates everything it possibly can. The benefit of this is that business owners can then focus on what they do best: running their business. It also means you haven’t got to stress about whether it’s done properly, and it hasn’t got to consume more time than necessary. Likeable Local encapsulates everything he says small businesses need to do in his book. 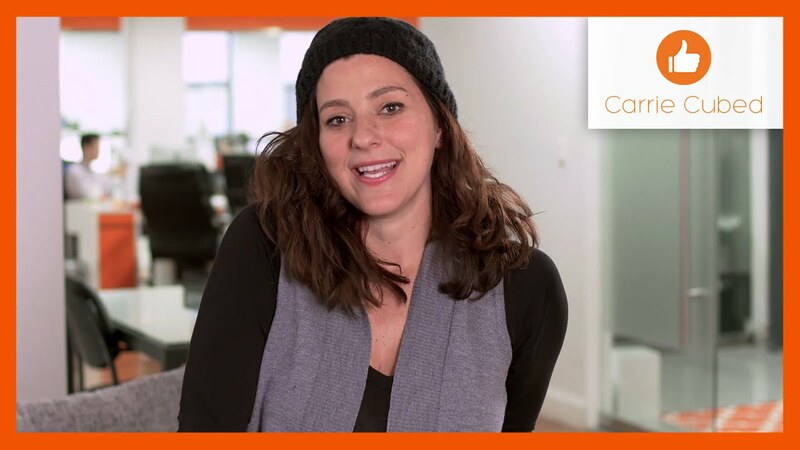 For a free trial of the software and to see how you can use it to benefit your business, visit Likeable Hub. It enables you to use just one tool to manage social posts, emails, videos and a lot more. Create a successful business without it being a challenge. Likeable Social Media is one of the top-selling social media books, published around the world. With so many people reading it, you should too. That way, you’re not falling behind and it could keep you one step ahead of the competition. Dave also has a new book coming out March 15th. The Art Of People promises to teach you skills that will help you in every area of your life. In Dave’s new book, he shares how the people with the best people skills are really the ones that win the day. This book is being praised as the modern day version of How to Win Friends and Influence People. In the pages of this book, Dave discusses the key to getting ahead is being the person others like, respect, and trust. Because no matter who you are or what profession you’re in, success is contingent less on what you can do for yourself, but on what other people are willing to do for you. He offers 53 bite-sized, easy-to-execute tips that will help you learn to master 11 People Skills that will get you more of what you want at work, at home, and in life. This book is going to be great and I cannot wait to read it and share my thoughts with you on it. And even though Dave gets thousands of messages, he responds to every one he receives. So if you have a question to ask, then don’t hesitate.